The Get Rich & Natural Package Blog Anniversary Blowout! Hello loves! I am still very overwhelmed with the number of entries submitted to my recently concluded Pamper Package Blowout. Which means I will be verifying tons and tons of entries. 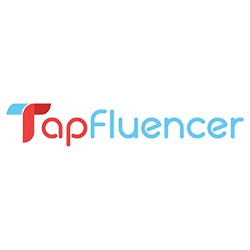 As I've mentioned in my mechanics, I do hope the following were followed and noted: (1) Completed all tasks listed on Rafflecopter and (2) Willing to claim prizes from me. So with that, let's not move on to my next package blowout! Why do you think you deserve to win a Get Rich & Natural Package? 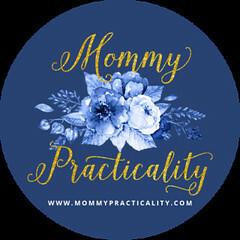 The Blog Anniversary Blowout is open to readers of Mommy Practicality in the Philippines. To earn entries, make sure you follow all the tasks enumerated in the Rafflecopter. 5. ANSWER THIS on the comment form below: Why do you think you deserve to win a GET RICH & NATURAL PACKAGE? 6. Leave your Name, Email Address, URL of your Facebook Share post and Link to your Tweet. To get the URL, click on the time stamp of your post, then copy the URL. 7. Winners will be chosen carefully from the ANSWERS you will submit but Rafflecopter will be used to verify your other important entries. 8. This Get Rich & Natural Package Blog Anniversary Blowout will run from July 10 to 16, 2013. Winners may win only once per giveaway package. Winners will be notified through email. If no reply received within two weeks from notification, prizes will be forfeited and another winner shall be drawn. Prizes are transferable but not convertible to cash. Winners/representative should present a printed copy of my email and at least one (1) valid ID when claiming the prize. Mommy Practicality’s decision is final. Are you ready? Earn entries now for a chance to win a GET RICH & NATURAL PACKAGE! If you find this post helpful, informative or entertaining, feel free to SHARE it. You may also SUBSCRIBE to my blog by clicking HERE. I'd love to know what you think about this post. Feel free to leave your comment. I do reply to each of your messages or questions so please come back if you've left one. 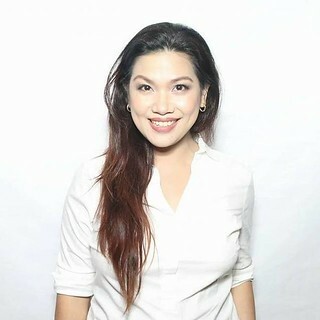 I deserve to win a GET RICH and NATURAL PACKAGE because I want to earn and be healthy-gorgeous inside and out,at the same time be of help in our nature.Thanks and more more power.. I deserve to win this Get Rich and Natural Package because I believe in the quality and effectiveness of these products. I salute Human Nature for being a Pinoy org bringing world-class products, Bamboo Dappy towel is sooo soft and will never scratch your child's delicate skin and also Moringa O2, i love how they brought nutrition in the convenience of a capsule, this is very good for breastfeeding moms. I used to drink malunggay capsules when i was still breastfeeding my son. I think the common factor of these products is they are natural and they are made of products from our country. Winning this package would be able to augment our family income and would let others know more about how natural these products are and that they are proudly Pinoy made. Wow... A great oppurtunity to start a bussiness even staying at home, surely a thing I dont want to miss! Thank You so much for the oppurtunity! I hope... I know Im deserving for this! I really wanted to help financially. I deserve to win GET RICH & NATURAL PACKAGE because as a full time mommy you need to have an extra activities that you need in your daily routine,like pampering while earning an extra money that will help me and even with my friends . I deserve to win this Get Rich and Natural Package because i know with this opportunity i can help my husband augment our income.Really a big help for us. All the best in this giveaway sis! Bongga talaga...nahirapan ako sagutin yung question kaya pass muna ko lol! Ooh, another giveaway! Good luck! Thank you for this giveaway sis! God bless you more. hahaha! mahirap ba? hahaha! :) Sige may 2 packages pa naman! I wish to win this package because as a mom, I'm always on the look out for natural and healthy products for my family. Not just for them but perhaps as a source of income as well. Some of the products like the dappy diaper, I won't be using them but I will give it to a poor friend who just had another grand daughter. Just one question, what if I can't follow your instagram because I don't have an account. Because I already gave up other products that are not natural and switched to 100% natural products like Human Nature. I deserve to win the Get Rich and Natural Package because as we all know people are now more conscious of what they eat, drink and even use on their bodies. HHN is a growing brand of products that are certified safe and organic. While on the other hand, Bamboo Dappy also aims to provide cloth pad for those who wants cloth diapers for their babies. Moringa 02 made from malunggay that is known for giving so many great benefits for our body. I would love to try everything as a start to live the healthy and natural way. At the same time, I will also be given a chance to share it to my friends and family thru the HHN Business Starter Kit or giving the bamboo dappy to a friend who want to try CD's or let other try Moringa 02 products too. This package is not only to be rich and natural but also to educate people that they are products naturally made and works really good! Good luck to everyone who joined. Amazing! You have many sponsors! Wow. You have a lot of giveaways! I'd love to join if only I'm in the Philippines. Yayyy! Bonggang give away, Good luck to the would be winners! Congratulations sis! And to the participants, I wish you all good luck! I deserve the GET RICH AND NATURAL PACKAGE because when you are a Mommy, you always dream of having an additional income for the family to help your hubby on providing some extra treat for the kids. Having her own income is a pride of every busy Mom, just like proving how good we are at multi tasking (kids, house chores, time for hubby, time for herself and just imagine getting an extra time for an extra income?? ?HOW GREAT WOULD THAT BE HUH?? SO I think, I am worth having this PRIZE. ;) Another, All of us moms want the MOST GENTLE and SAFEST products for our family. Just like what HUMAN NATURE PHILIPPINES, BAMBOO DRAPPY CLOTHPAD AND MORINGGA O2 promises to us. All Organic and all natural. Every mom would have peace of mind and guiltless feelings using these products. 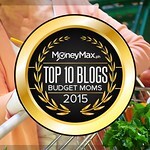 HEY SIS, HAPPY ANNIVERSARY, Im glad you came up with a blog like this, It helps a lot of moms! Good Luck! Good luck to all who entered in this contest. awww sayang, i never made it. but nevertheless... congrats on hitting one year! i hope whoever wins this giveaway will benefit greatly from it. Good luck to those who joined this week's blow-out. Excited to know who won since by the time I am reading the the contest already closed. I forgot if I joined one of your contests or not. I hope I did.